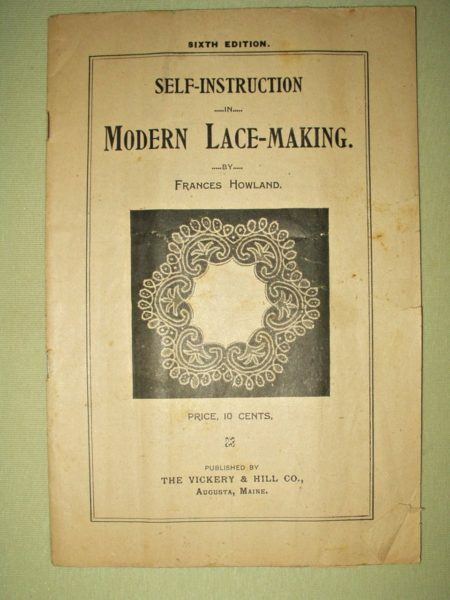 For those that love antique and vintage lace, here’s an instruction booklet of modern lace making by Frances Howland. Published by The Vickery & Hill Co., Augusta, Maine. Sixth Edition. Although no date, more than likely late Victorian era.